It’s now been almost a month since the fateful news that the UK was indeed leaving the EU. The biggest shock of the Brexit results wasn’t that the UK was truly leaving the EU, it was the USA style politics that surrounded the entire campaign. I don’t believe that there has been such politics in the UK well . . . Ever! Especially since the results have come in. It’s almost been exciting to watch, a Prime Minister resigned, almost the entire Shadow Cabinet as well. BoJo (Boris Johnson for the uninitiated) was to be the next PM. Except he woke up with a knife in the back and chose not to run. Leaving it to school mate Michael Gove, who also found he wasn’t up to becoming the next PM. This left leave campaigner Leadstrom and remain camp May as the next PM. If May were to win she would also be the first female PM since Maggie Thatcher. While the USA and Canada were certain that a May win meant that the UK would not in essence Brexit, she came out and said “Brexit means Brexit”. With that remark, Leadstrom backed out of the race, and May won by . . . acclamation I guess. A somewhat anti-climactic end to a very exciting battle. The Bank of England meanwhile stated they were ready to support the economy and interest rates were going to drop; however, the July expected rate cut did not happen. Carney taking a more wait and see approach instead of making a cut … stay tuned. Economists believe the cut will actually happen in August. Then again most economists will tell you that markets have rebounded as well. Indeed in the last 30 days the FTSE is up 11% and only down 1.5% on the year. Meanwhile, the world goes on, Trump and Hilary slug it out against a back drop of gun violence in the USA. Turkey has undergone a failed coup and sadly terrorist violence has struck France, yet again. 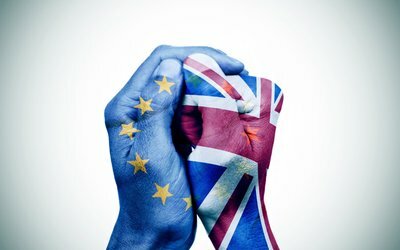 So Brexit what does it mean to you and your business? Really — I suspect it likely means very little. In the short term I think there may be some knock on effects for small business. So far Hitachi hasn’t gone home like they suggested they were going to, no other large companies have suggested they are leaving the UK either. Deals take time to close; maybe your deal won’t close because a counter party is using Brexit as an excuse to back out. I’d believe that could happen. More likely than not I think you have a great opportunity to seize the day and make something great while other companies sit around and wonder what’s going to happen. My suggestion? Go search out the next opportunity while your competition is wondering what’s happening or is going to happen due to Brexit.